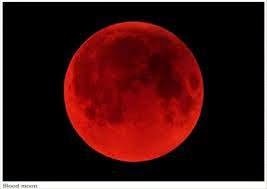 The much-ballyhooed Lunar Eclipse begins tonight. On the West Coast of America, it will be visible from 9:54pm - 3:38am - basically during the entire Passover Seder. This is "A Total Eclipse of the Moon," there will be another one corresponding to this one on Sukkot, six months from now. In the case of tonight's Eclipse, it's more like a "Total Eclipse of the Heart," as darkness covers light for a time, making opaque what was once clear, straining our faith and, best case scenario, strengthening it - or altogether changing it, aligning to our inner truth and recalibrating to what is right NOW. Mercury, Uranus and Ceres, largest of the Asteroids are all in Cardinal Fire Aries, opposite the Moon, Mars and the North Node in Cardinal Air Libra. Aries is Mars, Libra is Venus. Aries is war, Libra is negotiation. Aries is Yehuda, from whom King David and eventually Moshiach comes from. Libra is Ephraim, the son of Yosef, from whom Moshiach ben Yosef arises. The Full Moon of Nissan is Passover, the Full Moon of Tishrei is Sukkot. 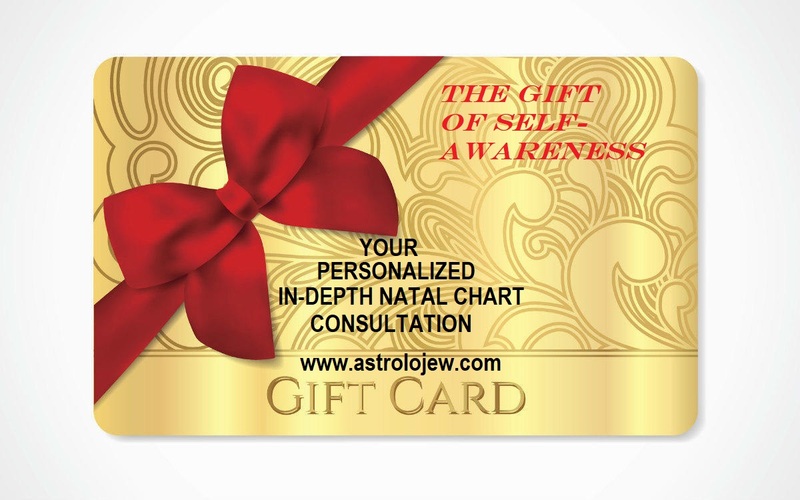 That Cardinal Axis is the energetic paradigm upon which the Jewish Year hangs. Squaring this configuration are Jupiter in Cardinal Water Cancer and Pluto in Cardinal Earth Capricorn - and Pluto plays the role of the "wicked son" of the celestial seder this year, throwing himself into Retrograde motion right before the Eclipse, and igniting long-smouldering passions and suppressed beliefs. Cardinal Signs are impelled to LEAD, to start something, to begin. Aries/Yehuda leads the way and Libra/Ephraim (who is the son of Yosef) has to negotiate terms. Jupiter in Cancer, who is Reuven (the Month of Tammuz), is concerned with legacy, security and stability, and Pluto in Capricorn, who is Dan (the Month of Tevet), who is fierce, dedicated, ambitious and persistent. People born between December 26 - January 10th, April 2nd - 17th, June 28-July 10 and September 29-October 20 are most likely to feel the drama because their Sun will be in one of those four quadrants which are creating the configuration. Also, anyone with Moon, Ascendent or any of the inner planets (Mercury, Venus, Mars) in Aries, Cancer, Libra or Capricorn will also reflect the dynamic tension, and the almost explosive urge to begin something new. The truth is, the Eclipse and this Cardinal Cross happens in everybody's Natal Chart, you just have to know where to know how it might be reflected in your personal circumstances. Remember, Israel is "Above the Zodiac." Knowledge is power, and self-knowledge is the only way to inner freedom - to know one's self is to know how you were "fearfully and wonderfully made" by our Creator. That's why Astrolojew loves to do your Natal Chart with you - to show you what your G*d-given wiring system looks like, and how best to use it. Chag haMatzot Kasher v'Sameach - Have a wonderful and redemptive Passover! Happy 112th Birthday to the Lubavicher Rebbe! Today is 11 Nisan on the Hebrew Calendar. On 11 Nisan we wish a Happy Birthday to the Lubavicher Rebbe, who would have been 112 today!!! For those who do not know, Menachem Mendel Schneerson zt"l was the Lubavicher Rebbe of Chabad, who is known far and wide simply as "The Rebbe"
START something gigantic, while his Venus in Pisces and Jupiter in Aquarius reflect his universal lover of humanity without borders. His Moon in Virgo Trine Chiron and Saturn in Capricorn support a selflessness, hard-working and devotional lifestyle, and the stunning Neptune at 29 Degree Gemini with Uranus in Sagittarius reveal a radical thinker who is an innovator in communication and technology. 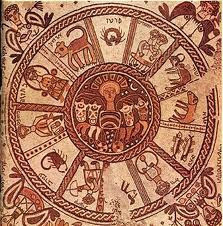 Is Israel "Above the Zodiac"? Indeed, no better example than that of Menachem Mendel Schneerson zt"l who took ALL of his G*d-given gifts and talents, infused them with his love of G*d and love of the Jewish People and in fact the entire human race, and changed the world with them. So happy birthday, Yom Huledet Sameach to the Rebbe - as we get ready for Passover, which begins this coming Monday night (along with a gigantic Lunar Eclipse - more about that in our next post)!